Homepage What are the settings for Microsoft Outlook Express? 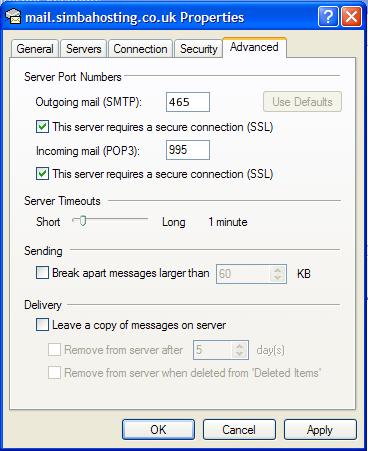 What are the settings for Microsoft Outlook Express? Click on the “Tools” menu in the menu bar. Click on “Accounts”, and it will open the accounts window. 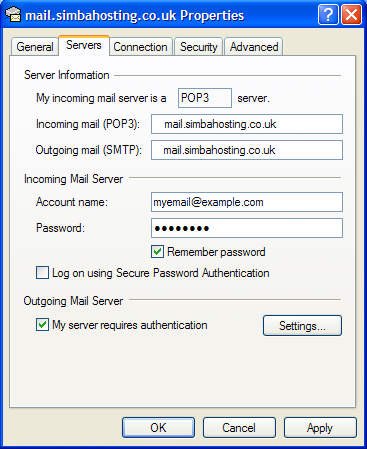 When asked, enter your name, email address (in lower case), password and the server “mail.simbahosting.co.uk” (without the quotes).